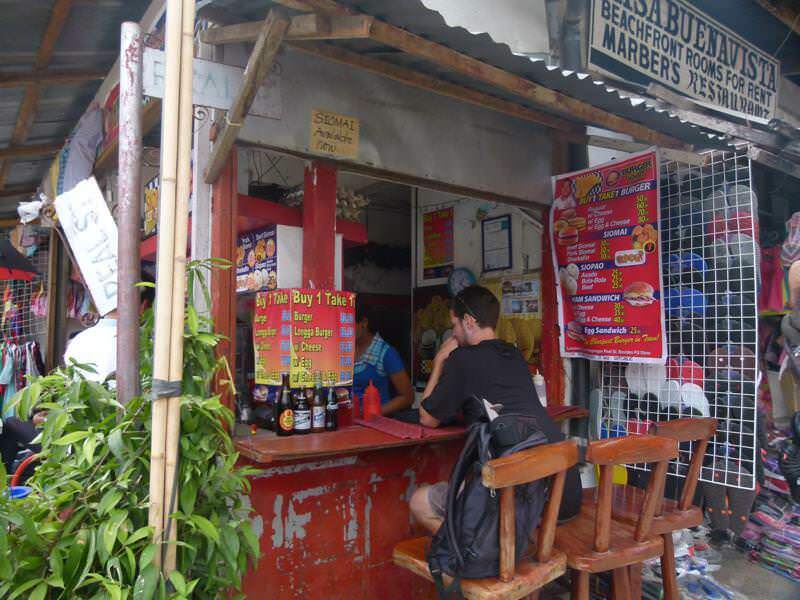 If you’re wondering where to eat in El Nido, there’s no shortage of options! 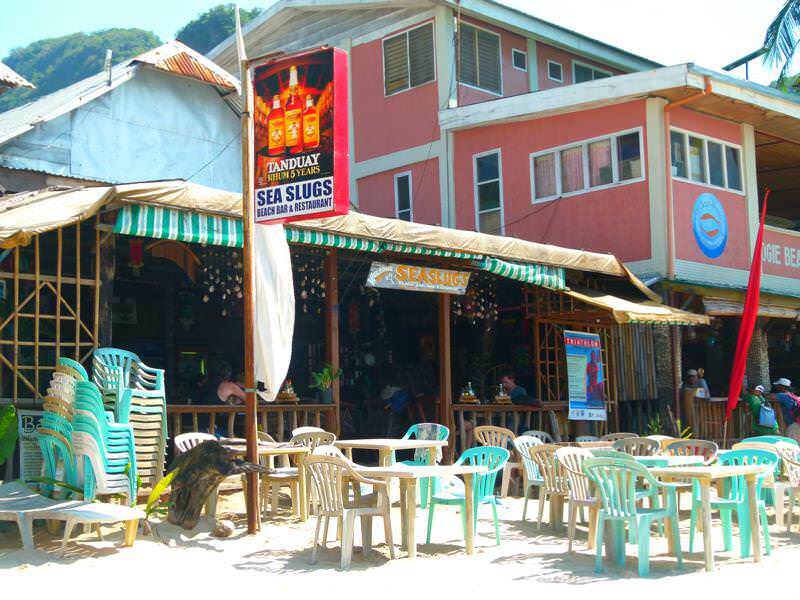 There are many restaurants lining the beach in El Nido that serve fresh seafood, pizzas, pastas, sandwiches and Filippino food, and some have tiki torches and live music. Away from the water are the cheaper restaurants. 1. Aplaya Restaurant on the beach. We found that this place actually had similar pricing to the places off of the beach. They serve salads, pasta, seafood and sandwiches. The costs are between 150p and 300p. Buckets of 4 beer are 160p and 180p.They also have free wi-fi. Aplaya Restaurant on the beach, El Nido. 2. Midtown Bakery. 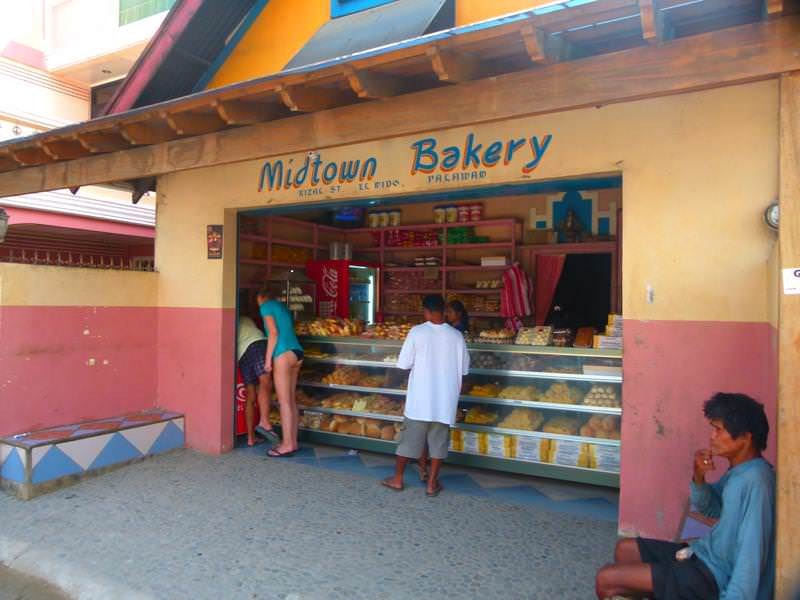 This place is just down the street from Cliffside Cottages and serves fresh cinnamon buns, coconut buns, butter buns, cookies, cakes and whole wheat buns at a very affordable price: 2p to 20p, perfect for a budget backpacker! 3. Sea Slugs. This is a popular beach restaurant. They have live music at night and set up tables on the beach for dinner. However, the menu is pricey. Basically everything on the menu is from 200p. They do have a good margarita pizza though, which is 150p. 4. Squidos. Located on Calle Hama St. The prices here are decent and the food is delicious. A massive seafood platter (good for 2 people) costs 350p, the chicken adobo with rice is 140p and a fillet of fish with a lemon butter sauce and rice is 160p. The calamari rings and bancit piton is also really good. 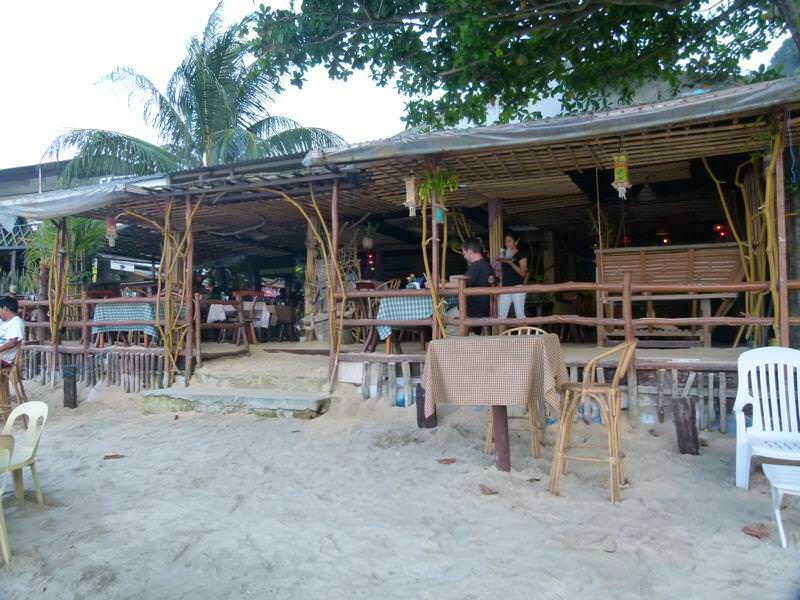 A very popular place with lots of other backpackers and fast service. Wondering where to eat? Look no further. 5. Bhing’s Bizz Curry House. Located on Calle Real near the church. We weren’t sure about this place at first, however, the chicken curry (good for 2 people) with rice was amazing. A perfect Indian flavour. The cost of this was 350p. 6. If you are looking for a quick snack or for breakfast, try the small burger joint on the road to the beach. They have 2-for-1 burgers with cheese and egg for 80p. An egg burger is 25p. Squidos have increased their prices so starts from about 200 and upwards.